Paul Cézanne (1839–1906) was a French artist and Post-Impressionist painter whose work laid the foundations of the transition from the 19th-century conception of artistic endeavour to a new and radically different world of art in the 20th century. Cézanne's often repetitive, exploratory brushstrokes are highly characteristic and clearly recognisable He used planes of colour and small brushstrokes that build up to form complex fields. 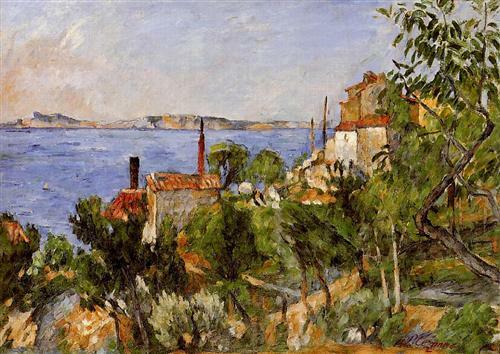 The paintings convey Cézanne's intense study of his subjects. I like this piece because Cézanne uses different shades of colour to add more character to his work which is a very picturesque one considering it being 1876 and quite modern for its time.